I mentioned a while back that I grabbed some candles from Wick & Fable's BOGO 1/2 Off Sale. Two 8 ounce candles were $27, rather than $36. I ordered a total of 6 candles across multiple fandoms, but mostly Harry Potter. 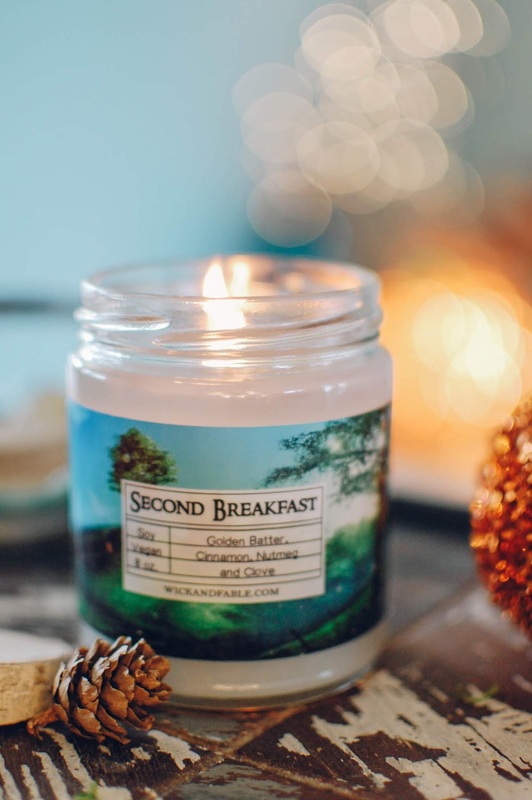 I did grab this Second Breakfast candle because anything Hobbit related has my heart too. I was in the mood for fall candles and this one fits that nicely I think. Second Breakfast- Notes: Golden batter, pancakes, cinnamon, nutmeg, clove, toast. This is certainly a pancake scent. Fluffy buttermilk pancakes with a pinch of floury breadiness and just the merest hint of spice for warmth and flavor. Not overly sweet and no maple tones to my nose. This candle burns wonderfully easy and melts into a pale blue glittery wax pool. It throws strong. Even when I was sick and stuffy I could pick up wisps of it while it was burning but now that I am better it is loud and proud. 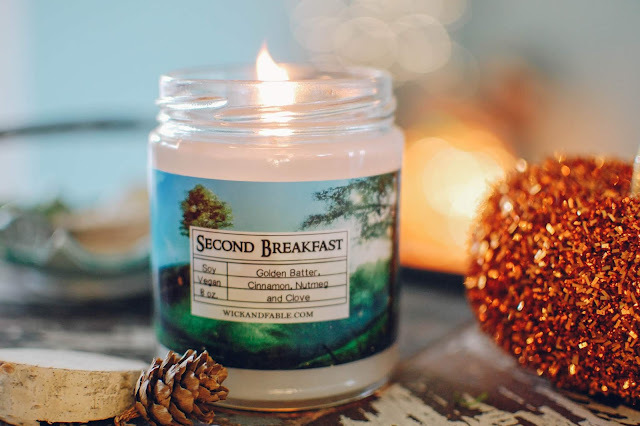 If you are a fan of pancake scents or French baguette scents with a little bit of breadiness you would like this one. I enjoyed burning it but I would probably try a different scent next time. Perhaps another Lord of the Rings or Hobbit variation? Be on the lookout for some more Wick & Fable candles coming up. I have quite a few cozy Potter ones on deck. Citizen's arrest! Citizen's arrest!!! Ma'am. I am going to have to ask you to hop in a plane and fly down to Lakeland, Florida in order to have a mandatory Hobbit viewing session. I will provide snacks. LOL! Lady, you could turn down the Hogwarts box?! Thou art much stronger than I. I am waiting on pins and needles to get my twitchy fingers on it. Wait until you see my Harry Potter candles. I don't care for it either. Unless in real life. With lots of butter or olive oil. The candle wasn't terrible. 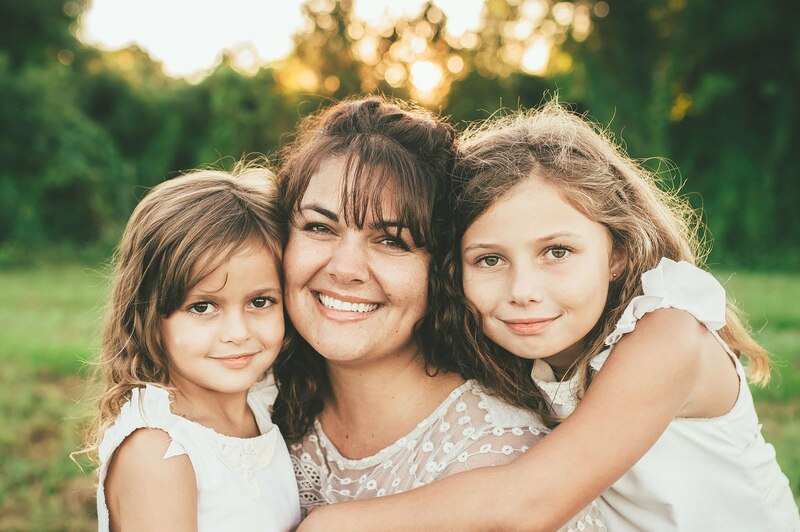 It was nice and had a great throw, just not a repurchase. Ah well! It was fun to try!